What can we do to stop global warming? This is an article on global warming. 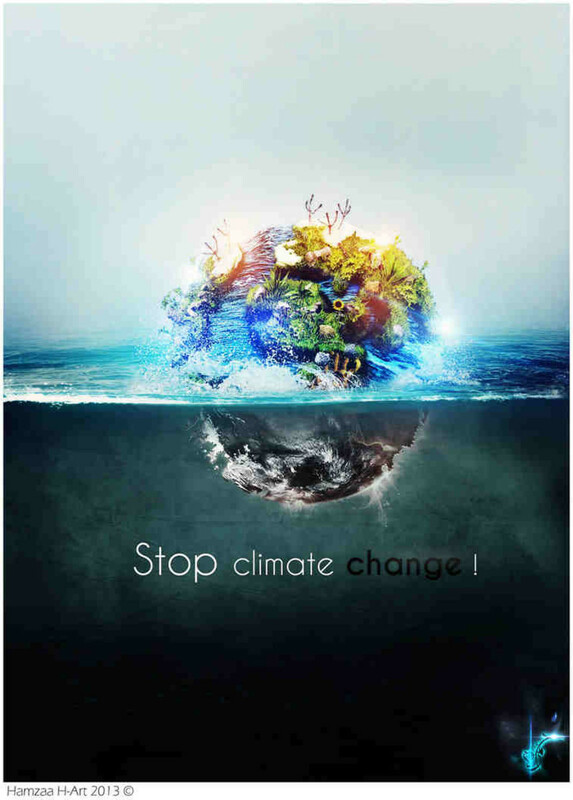 Information about global warming is urgent to share as there are so many dubious myths about the climate in cyberspace. First, I'll try to 1) define the expression "global warming". 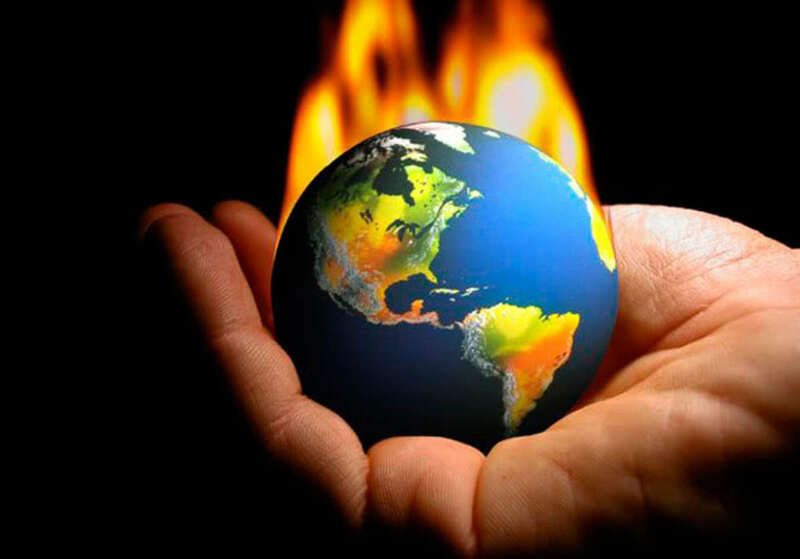 Then we'll explore 2) the relationship between climate change and global warming. 3) Global warming causes will be discussed - natural as well as causes which originates from activities of humanity. On the other hand the 4) consequenses of global warming will be outlined. It is no secret, though, that it has been difficult to achieve consensus on the subject. Thus, we won't neglect to describe 5) the global warming controversy. After having discussed, what is global warming - fact or fiction? - some 6) global warming statistics will follow. Finally, some 7) global warming solutions will be proposed. As an appendix below I have collected some pictures of global warming. Images, which are quite revealing, I think. The term denotes the increases in the average temperature of the atmosphere and oceans of planet Earth, observed as well as projected. After this short definition of the term we now have to take another term into consideration, namely the global climate change. Global warming is not necessarily an effect of climate changes. On the other hand climate change will necessarily be the outcome of the global warming. Climate change, thus, though related to global warming, isn't identical with the term. Climate change may also have the opposite outcome, that is, a fall in temperature. That said, when the average temperature of the globe increases, the climate may change, for example may the duration and severity of storms and drought be affected. More about the climate changes following the warming of the globe will be developed below. 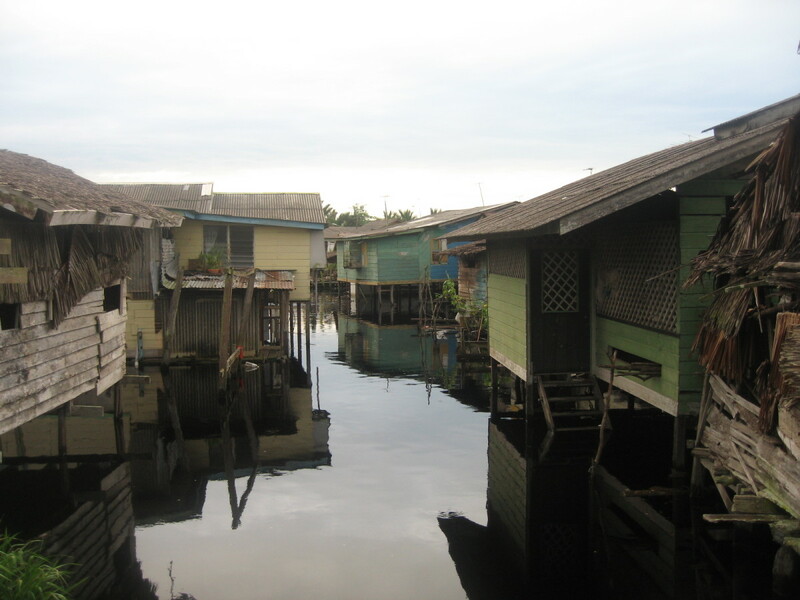 People have for centuries suspected that human activity could affect the local climate. For example, already the ancient greeks discussed whether cutting down forests might bring more - or perhaps less - rainfall to a region. Nevertheless the major changes of climate seemed to happen by themselves. 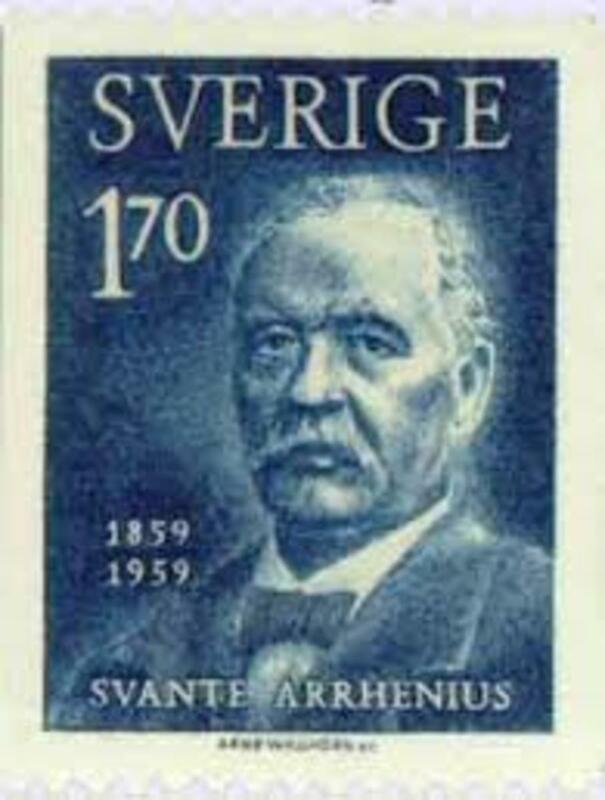 In 1896 something crucial happened: The Swedish scientist Arrhehius published a new idea, namely that the average temperature will raise when humanity burns fossil fuels, due to the CO2 added to the atmosphere. In the 1930s it was realized that the average temperature in the North Atlantic region had increased during the previous 50 years. Many scientist denied that this was a problem, but an amateur, G. S. Callendar insisted steadily. In 1938 he argued that a greenhouse global warming was underway. In the 1950s Callendar's theory and global warming essays provoked a few scientist to make calculations with improved tehcniques. In 1956 Philips Electronics produced a realistic computer model of the atmosphere, and Plass calculated that adding CO2 to the atmosphere would have signicifant effect on the radiation balance. In 1957 Revelle stated that CO2 which was prduced through human activity would not readily be absorbed by the oceans. In 1960 Keeling measures an annual rise of CO2 in the atmosphere. In 1965 Lorenz pointed out the chaotic nature of the climate system, and that shifts could suddenly happen. This was somewhat confirmed the year after, in 1966, when Emiliani's and Broecker's analyses of deep-sea cores and ancient corals affirmed that the climate system is sensitive to even small changes. In 1967 Manabe and Wetherald calculated that doubling CO2 would raise the average world temperature a couple of degrees. And the doomsday scenario intensified: In 1968 studies suggested that a possible collapse of Antarctic ice sheets would raise sea levels catastrophically. In 1970, though, Bryson argued that increasing aerosols in the atmosphere counteract global warming and may even bring cooling. 1972 is a year of drought in Africa, Ukraine and India, spreading fear that this is caused by climate change. In 1975 investigations of the stratosphere leads to the discovery of danger to the ozone layer. The following year, 1976, it is reported that ozone ( and methane ) can make a contribution to the greenhouse effect. Likewise ecosystem changes such as deforestation are recognized as being serious factors in the future of the climate. In 1977 an increasing consensus is emerging that global warming - not cooling - is the real threat to the future. With the dawn of the Reagan era, 1981, a sceptic attitude towards the theory of global warming is growing in the U.S. In 1982 strong global warming since the mid-70's is observed, 1981 being the warmest year so far ( on record ). In 1985 Ramanathan states that global warming may come twice as fast as hitherto predicted, due to the rise of greenhouse gases, while Broecker warns that a reorganization of the North Atlantic circulation can bring radical change in climate. In 1987 the Montreal Protocol imposes restrictions on the emission of gases destroying the ozone layer, on an international level. In 1988 studies confirm that ecosystems give feedback by way of methane. 1988 is also the year for the establisment of Intergovernmental Panel on Climate Change ( IPCC ). In 1989, though, Global Climate Coalition is formed by among others the U. S. oil industry, asserting that the results of the cllimate science are to uncertain to justify action. In 1991 sceptics asserts that 20th century temperature changes took place because of solar influences. In 1992 the Rio conference produces the UN Framework Convention on Climate Change, but US blocks. 1993: Greenland ice cores seems to suggets that huge climate changes can take place within a single decade. In 1995 the second IPCC reoprt declares that serious warming is likely in the 21st century. Breaking up of Antarctic ice is affecting the public opinion. In 1997 Toyota introduces the first mass produced hybrid car. Other alternative energy forms are really getting on the agenda now. The Kyoto Protocol trying to make an international agreement on the reduction of gas emissions is rejected in advance by the US. In 1998 El Niño is causes serious disasters. Warmest year on record so far. In 2000 the American oil lobby ( again ) shows its influence making the US administration play down the climate problem. In 2001 the third IPCC report states that global warming is "very likely". Now there is almost consensus among the scientists, even about the risk of an abrupt climate change. In 2003 several observations indicate that the collapse of ice sheets in Greenland and Antarctic may raise sea levels faster than expected. In 2005 the Kyoto treaty goes into effect. The efforts to retard the emissions accelerates, even in the US, which has to cope with the serious damages made by the hurricane "Katrina". 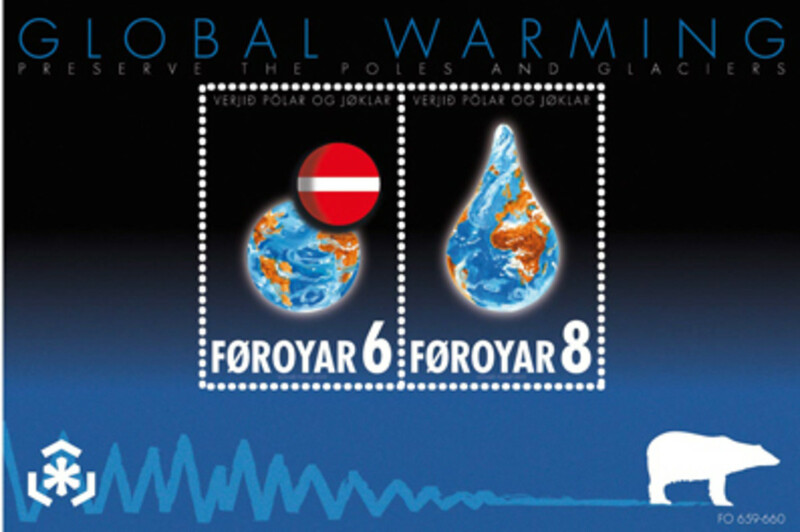 In 2007 the fourth IPCC report states that the effects of global warming has become "evident". Greenland and Antarctic ice sheets are found to be shrinking faster than predicted. In 2009 several experts warn that warming is faster and more dangerous than foreseen only few years earlier. 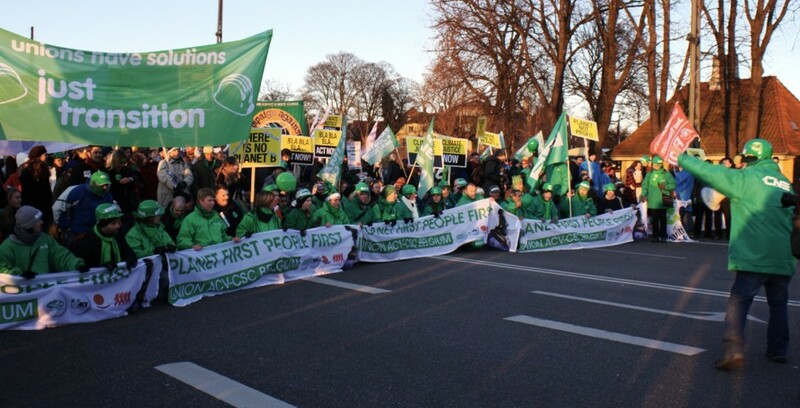 The Copenhagen conference fails to establish an agreement. This was considered by many as the last chance to avoid dangerous climate changes. As this brief historical resume shows the last several decades have been a long deroute. And the world is still suffering under the global warming. 2011 was a year of "extreme weather" the World Meterological Organization reported. 4. Why is global warming happening? An interesting issue here is of course the overall question of global warming causes and effects. But before we conclude too much about the effects of human activities - after having asked what cause global warming - one has to realize that there are indeed natural causes of global warming. These include volcanic eruptions and changes in the Earth's solar radiation level. 1) The production of cement is a sometimes by the media almost forgotten cause. 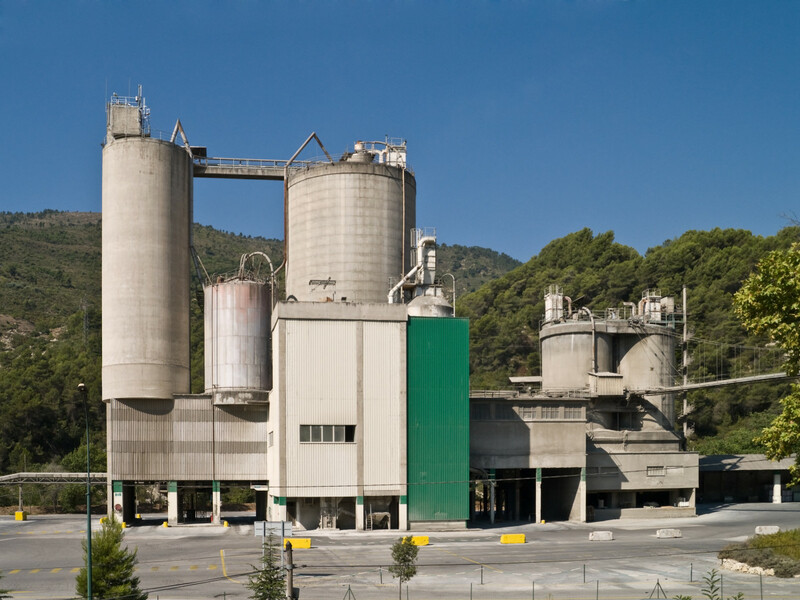 How is global warming caused when producing cement? Well, cement is made by burning limestone. This process genereates so much CO2 that it has become one of the major threats to the Earth's atmosphere. 2) The impact of global warming from the burning of fossil-based fuels is, on the other hand, well known. Not only CO2 but also monoxide ( CO ) and oxides of nitrogen pollute the air from cars, ships, electricity etc. The two factors of burning of fossil-based fules and procuction of cement alone generates much more CO2 in the atmosphere than natural processes can remove. 3) One factor which can in fact reduce the CO2 pollution is large forest, because trees breathe in CO2 and breathe out oxygen. Therefore the rapid deforestation is a serious threat to the climate. We'll take a more detailed look at this problem below. 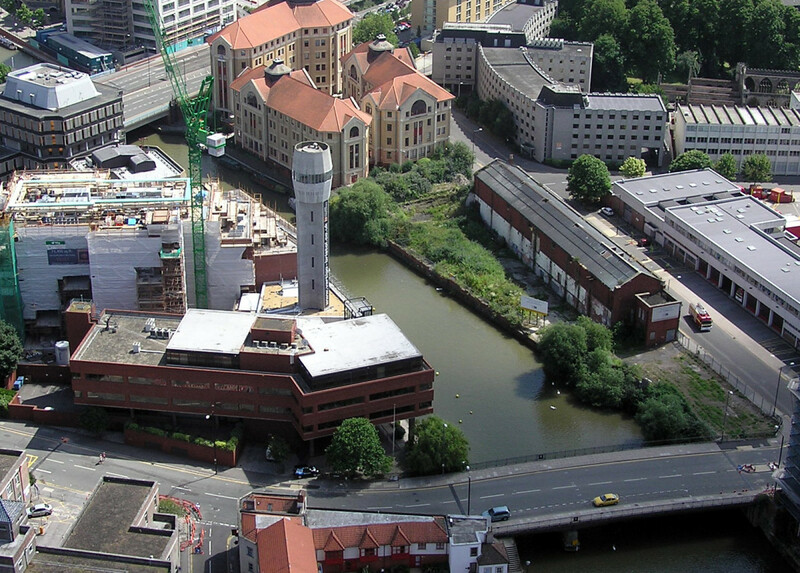 A lot of concrete has been used to build Bristol City! 4) All the concrete used to build cities with roads, buildings and tunnels absorbs and stores the heat, so that temperatures in city areas are significantly higher than temperatures in the surrounding countryside. One of the answers to the question what is causing global warming, is, as menitioned, the rapid deforestation going on around the world. Though forests still cover around 30 percent of the world's land area every year more than 75.000 km2 forest is swallowed by deforestation. At this scale there will be no forests in a hundred years. Deforestation is not only happening because of greed or profit. For many people deforestation is necessary to provide for their families. Often small farmers will clear some few acres and burn the trees, a method known as "slash and burn agriculture". Other reasons may be the needs for the wood and paper industries, but also roadbuilding shares its part. Deforestation is a threat to several species living in the forests, but it also drives climate change. The soils dry out, and many former forest lands quickly become deserts. 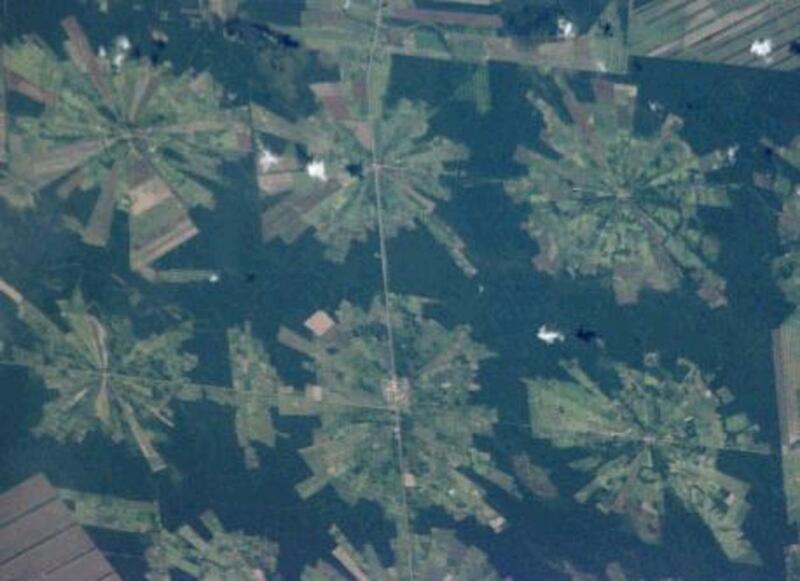 More extreme temperature swings also results from deforestation. Most important in this context, though, trees play an important role in absorbing the greenhouse gases which generate global warming. Fewer forests means larger amounts of greenhouse gases in the atmosphere. Some examples are: 1) more wildland fires than earlier, 2) negative effects on people's health, 3) wildlife conditions changed, especially around the poles. This might seem a minor problem to humanity due to the fact that the holes in the ozone layer are around the poles where there are almost no human life. But in fact ultimately this will affect everyone. And it already does, causing worldwide shifts in the climate. 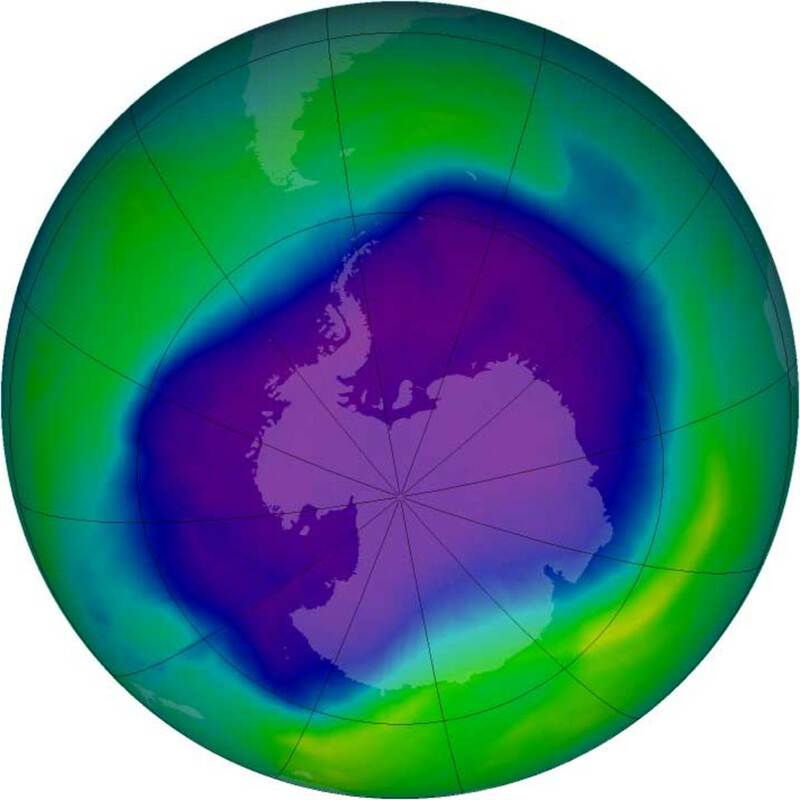 Recently an ozone hole five times the size of California was observed over Arctic, now for the first time matching the ozone loss over Antarctic. The ozone layer filters the ultraviolet radiation from the sun. This is an important process, as too much radiation is very damaging to the enviromnemt and in particular it may damage the DNA of living organisms,causing diseases such as cancer. This fact should make us concerned as we also obeserve that the cancer rates of the human population is increasing. Also among the animals increased cancer rates are disruptive for the food chains and damage the ecosystems. According to IPCC the number of serious droughts worldwide has been increasing since the 1970s, affectting food prices and drinking water recourses. The ultraviolet light may also affect the ability of plants to create ripe fruit. Even the micorscopic plant life in the oceans is facing serious attack. Another dramatic effect of global warming and the depletion of the ozone layer is the forecast of bigger storms. According to IPCC the tropical cyclone activity has become more intense since the 1970s, resulting in loss of human lives and expensive damages. Scientists also warn that the climate may be disrupted, as the radiation will have an impact on the movements of wind in the upper atmosphere. This may have serious effects in time to come. The movements of air affects the local temperatures and may cause a shift in the amount of rain falling in an area. So, all in all, the consequences of the depletion of the ozone layer are serious. 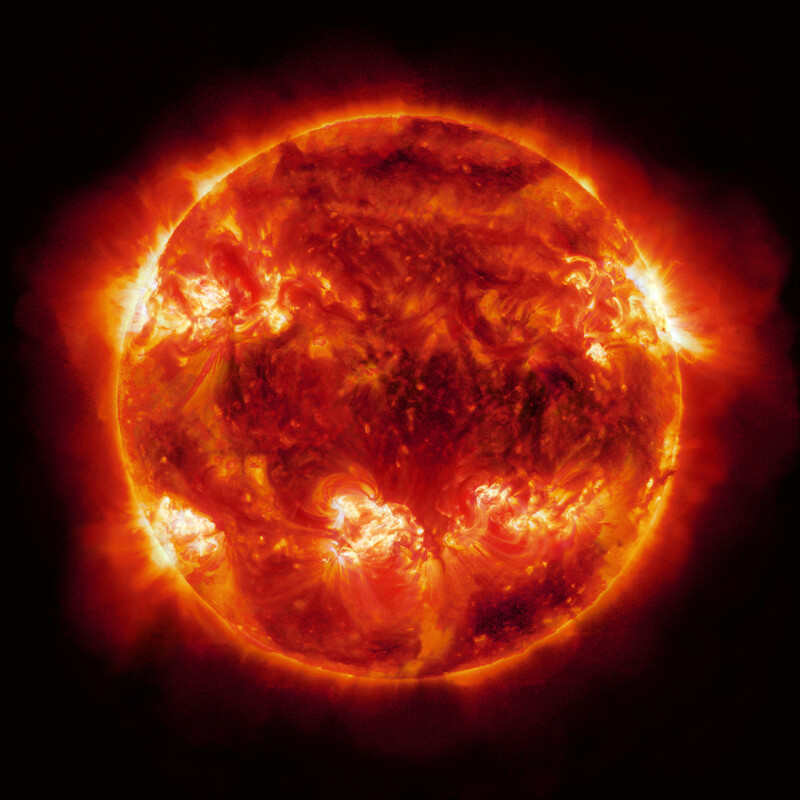 About 30 percent of the beams from the sun towards the earth is deflectede by the outer atmosphere. From here it is scattered back into space. The remaining 70 percent hit the earth and is then reflected upwards again, with a slow moving energy called infrared radiation. 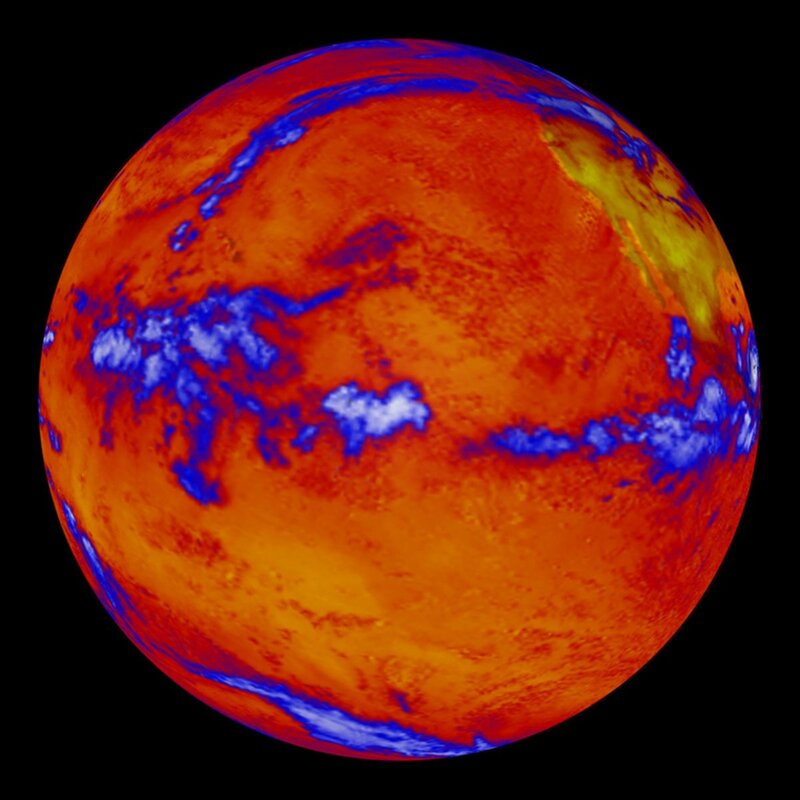 The heat produced by this infrared radiation is absorbed by so called "greenhouse gases", including carbone dioxide, methane and ozone. This slows down the escape from the atmosphere. Though greenhouse gases make up only about 1 percent of the atmosphere, they are traaping the heat and regulate our climate this way. This is what scientists call the "greenhouse effect". Without it would be much colder on the planet and thus impossible to sustain our current ecosystem. The problem in our context, meanwhile, is, that global warming causes to much of this process. This happens because human activity accelerates the process by producing more greenhouse gases than necessary to warm the planet to an ideal temperature. More infrared radiation is held, and the temperatue of the Earth's surface and of the air in the lower atmosphere is increasing. The temperature is today increasing with an unprecedented speed. During the entire 20th century the global temperature increased with about 1 degree Fahrenheit. The most optimistic estimations predict an increase during the 21st century by 2.5 degrees. This is more than a double. 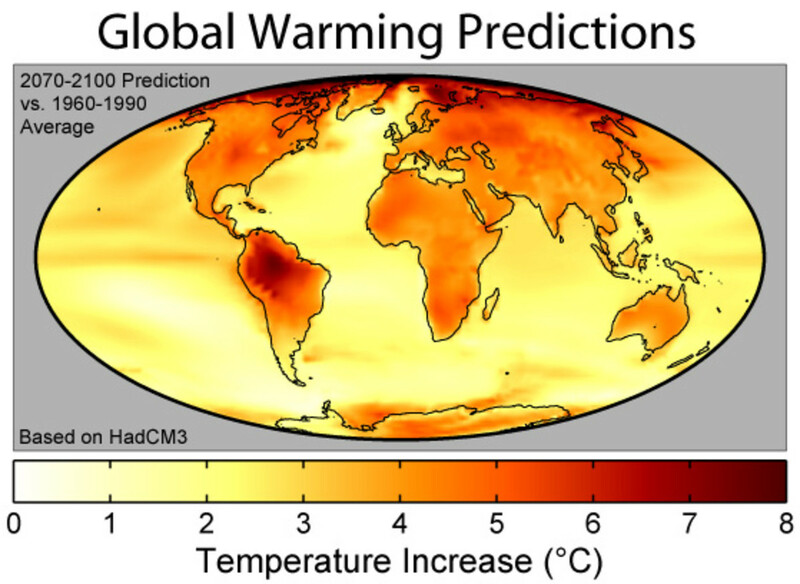 The most pessimistic predictions say 10.5 degree! Sea level is rising around the world. Higher temperatures are expected to further this process, by causing Greenland and Antactic ice sheets to melt, as well as mountain glaciers. IPCC estimates that the average sea level on the globe will rise between 0.6 and 2 feet during the 21st century, dependent on how rapidly ice sheet will be smelting. This issue is quite complex, though. Some processes are not determined solely by climate, and besides climate changes from the past are influencing the data. Furthermore the rise in sea level vary from region to region. Som places sea level has even fallen! Nevertheless IPCC concludes that the impacts are "virtually certain to be overwhlmingly negative". The discussion on the evidence of global warming has been going on for decades by now, and the global warming debate is often tough and implacable. Few years ago the advocates of the pessimistic theories of global wamring got a prominent representative: Al Gore. Global warming is a serious threat to humanity, is the message of Mr. Gore. Undoubtedly his interference has intensified debate, provocing severe resistance among people who for one or another reason are fighting against the "global warming hoax". 1) Average temperature has increased 1.4 degrees Fahrenheit since 1880, escalating in recent decades, according to NASA studies. 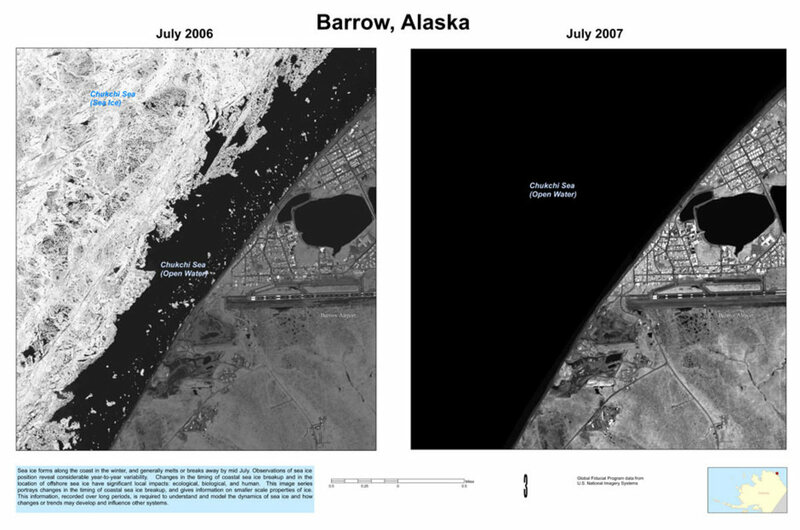 3) Arctic ice is rapidly disappearing. Serious consequenses for animals and regional cultures can be observed already now. Average temperatures in Alaska, Western Canada and Eastern Russia are increasing twice the average of the globe. 4) Mountain snow and glaciers are rapidly melting. In 1910 Montana's Glacier National Park had 150 glaciers, now only 27. 5) Increasingly extreme weather is observed: Heat waves, strong tropical storms, wildfire, just to mention a few. 6) In the northern hemisphere, thaws come a week earlier, freezes a week later ( average ). These facts about global warming cannot be discussed, unless you are willing to deny facts! 8. How can we reduce global warming? And now, finally to the basic question of this article: How to prevent global warming. Well, it's always easy ( and free! ) to blame the politicians and influential people for not doing enough. But what about you and me. If we want to change the world we should start with ourselves! Imagine that everybody was thinking that way! What a world we could create! So, when it comes to the question how to reduce global warming this article will focus on you and me. What can we - as ordinary people - do? Step 1: Knowledge. If you want to save the earth, you must know how to save the earth. This does not only mean that you must know what to do. You must also know the background of the problem so that you understand why you must do this and that. Well, by reading this article on ways to prevent global warming you are already now on your way to complete step 1! Step 2: Food. Choose vegetarian meals. Choosing vegetarian food has a positive impact on biodiversity and reduces agricultural water consumption. Besides, livestock produces in fact more greenhouse gases than transportation! Large amounts of petroleum are used to create ammonium nitrate fertilizer ( for the corn they cunsume ). Transportation of cattle to slaughter og store is also an important negative factor. If you want to eat meat it should be from a local source. So, buy locally made and grown products. These should, of course, be "green" products. Step 3: Recycling. Use recycling bins and encourage others to do the same. Make sure that your printer paper is recycled. And don't print if not necessary! Step 4: Household. Other ways to prevent global warming are to make changes in your household. Use LED bulbs or luoroscent bulbs and save a lot of carbon dioxide. Only a single bulb can save around one third of a tonne of greenhouse gases. But remember that these bulbs need proper recycling! Fill your dishwasher before using it and save a lot of CO2. Save hundred of pounds of CO2 ( and money ) by replacing energy wasting old fridges, washing machines or air conditioners. Furthermore, drop energy wasting appliances that you after all don't really need. Unplug unused electronics. Even when turned off electronic devices use energy. Or you may use a power center to switch them off. Reduce your consumption by using refills. Step 5: Home. Insulate your entire home to reduce heating ( or cooling ) costs and insulate anything that uses energy to store the heat. You will save money in the long run and reduce emissions. Replace inefficient insulation. Use less hot water by turning down the cold water in stead of turning up the hot. Step 6: Outdoor. Another simple ( and healthy! ) solution to global warming is:Mow your lawn with a push mower. Save carbon dioxide and strengthen your muscles! Buy a hybrid car og at least a fuel efficient car. Be a "green driver". Save gas by removing unused external equipment, such as a roof rack, and empty your trunk of objects you are not using. Turn off your engine when possible. Keep your car tires inflated. Under-inflated tires reduces fuel economy. Change your air filther when needed, and clean it regularly. This reduces pollution and makes it easier for your car to have the right mixture of air and fuel. Again: How can we prevent global warming? As you see there are several answers to the question how to stop global warming even in everyday life. And the list above does not pretend to be complete. The point is that we cannot just let the politicians be responsible for making solutions to global warming. You and I are reponsible to act ourselves. It is my hope that this article about global warming has deepened your knowledge on the subject. As mentioned, information on global warming is essential, to encourage us to act as individuals. More global warming information can be found at several web-sites. This is only my humble contribution to the flow of global warming articles! Below I have collected some illustrations of global warming. Pictures, which - each in its own way - are evidences that something is wrong on our planet. Many animals are endangered because of global warming and human activity. Learn more! How Do We Know That Global Warming Is Affecting Our World? What is the government doing to lower the co2? No, not what they are regulating put what they as a huge consumer of energy, and even worse contributor to co2 and other pollution. We have been in continuous wars around the world and that is a major contributor but without the government doing their share to conserve they don't believe what you believe. Thank you for your educative article. I agree that we ALL should cooperate to reduce emissions and curb climate change. I wrote a hub suggesting something on the way our society and work life is organized, I invite you and others to check it out. I would like to know your opinion. No, data was not 'deleted and cleansed' at East Anglia. And the figure we are talking about shows several datasets, not just one. "For the global mean, the most trusted models produce a value of roughly 14°C, i.e. 57.2°F..."
"Climate scientists look at all the available data." You have got to be kidding. This discussion has descended to new lows. You know that data was deleted and cleansed at East Anglia. A dataset is not authoritative simply because it is the only dataset. "All the available data" is not necessarily definitive data. You know that data acquisition equipment was placed on rooftops adjacent to AC units. You know that digital data acquisition technology was not available in 1950. What is the accuracy of an analog thermometer placed in a bucket, dropped into the wake of a boat, then read by a sailor and recorded on a clipboard? "I particularly commend to your attention Figure SPM 1, which provides both a graph of the global mean surface temperature time series,"
What is the temperature of the Earth supposed to be? Help me out with that. Don't be silly, yourself. The blog--which is the work of a professional statistician with highly cited professional publications in climate data analysis, by the way--deals with 1998 as a start date because that is the currently fashionable cherry-picked start point for denialists arguing that there is no warming. I would have thought that was pretty clear from the post itself. "The globally averaged combined land and ocean surface temperature data as calculated by a linear trend, show a warming of 0.85 [0.65 to 1.06] °C3, over the period 1880 to 2012, when multiple independently produced datasets exist. The total increase between the average of the 1850–1900 period and the 2003–2012 period is 0.78 [0.72 to 0.85] °C, based on the single longest dataset available (see Figure SPM.1)." "Changes in many extreme weather and climate events have been observed since about 1950 (see Table SPM.1 for details). It is very likely that the number of cold days and nights has decreased and the number of warm days and nights has increased on the global scale6. It is likely that the frequency of heat waves has increased in large parts of Europe, Asia and Australia. There are likely more land regions where the number of heavy precipitation events has increased than where it has decreased. The frequency or intensity of heavy precipitation events has likely increased in North America and Europe." I particularly commend to your attention Figure SPM 1, which provides both a graph of the global mean surface temperature time series, and a global map of the spatial structure of the warming between 1901 and 2012. The globe warms and cools all the time. Your 'citation', a Wordpress blog (?) only looks at 1998 to present. That's silly. 16 years? You wish to reconfigure the global economy based on what has supposedly happened in the last 16 years? Seriously? If you plan to be an alarmist, at least proffer data since the Industrial Revolution. Incorrect; the globe clearly *is* warming. If you are referring to the so-called 'pause,' it's really a slow-down at best, and is only apparent in surface temperature measurements. Ocean heating--which accounts for 93% of the warming--is still continuing. The globe is not warming. That's why the politicians and politically-minded scientists changed their phraseology to "Climate Change." Cynicism is convenient, for those afraid to engage or to act. The only thing you can do to stop global warming is speed it up. There is no way in the World that the powers that be will ever allow the melt down to stop. So all you can do is sell beach front property to the wealthy. Find a cave above sea level and secure a good source of water. ~"It has sell recommendations on all the major power utilities with large exposure to coal and gas fired generation. Many of these companies have high debt levels, the result of recent merger activity, but they have been caught out by falling demand and the rush to wind and solar. ~A Reuters report last week noted that the centralised production model risked becoming “dinosaurs” of the energy market unless they reinvented themselves soon. These utilities are now starting to focus on decentralized energy, renewables, and energy efficiency. E.ON says it will focus its investments in that sector, and GDF Suez, whose CEO has talked of a “revolution” in the industry caused by solar, is doing the same. ~The problem is that most of these companies are already behind other first movers. They own just 7 per cent of renewables capacity and less than three per cent of solar capacity. ~“Utilities produce electricity, and here’s a new technology for producing electricity, and they are not in there. 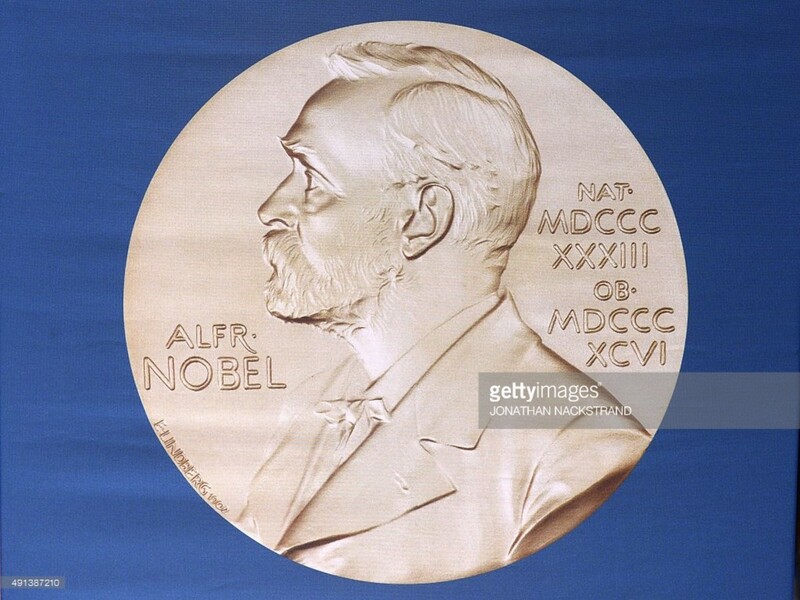 They have completely missed the opportunity,” Lueneburg University researcher Mario Richter told Reuters. You're not listening. It's been fun. The question is whether or not there is any reason to think that they are at risk of some sort of collapse. So far, you really haven't presented one. You've just slapped pejorative labels on. But those labels don't change cost structures. And those structures are currently working against coal in the US (and Australia, for that matter.) As renewable's costs continue to drop, that dynamic will only strengthen--'artificial' or not. Would you argue that transcontinental railroads or freeway systems were somehow unreal or unefficacious because governments spent vast sums establishing them? "Put in your terms, the market is rapidly 'going natural.'" You can keep saying it, but that doesn't make it true. The tooling, facilities, and advanced technology were funded by subsidies and protective legislation. People are willing to invest now because the government interfered. The wind and the sun were always there. "But the 'creation myth' hardly matters in the case of investment decisions being made now." It matters completely. The myth is that this market would have sprung up without subsidies and protective legislation, because it did not. The investment decisions being made now are a function of the artificial market created by subsidies and protective legislation. I think you are mistaken. It's true enough that government action created the market, in large part. (That was rather the point, after all.) However, in the arrangements I have read about, the money came from the investors, not 'tax dollars.' The exceptions would be cases where loans went bad, as in the case of Solyndra. "No, it's not. That's *new* capacity, delivered." No, it's not. Government intervention built the market. *new* capacity prices are a function of tooling and manufacturing facilities that were built on legislation and tax dollars. The entire market is artificial. "You know full well there is a solar bubble ready to pop..."
"That's like saying that my car only costs me the price of gas to operate." No, it's not. That's *new* capacity, delivered. "In February 2013 Bloomberg New Energy Finance reported that the cost of generating electricity from new wind farms is cheaper than new coal or new baseload gas plants." That's like saying that my car only costs me the price of gas to operate. "However, several nations have in fact met those requirements, and there is no evidence that that has hurt their economies. Notably, Germany did so, despite having to carry the weight of southern European debt relief:"
Please! Tell the whole story! The obvious opportunity costs levied by billions of tax dollars funneled to the German solar industry are anathema to free market capitalism. You know full well there is a solar bubble ready to pop: The artificial markets created by politicians for solar power equipment are not sustainable. Yes, its GWP is greater, but its concentration is an order of magnitude lower, and its lifetime in the atmosphere is much, much less--methane concentrations would drop on decadal timescales if emissions were curbed, versus millennial timescales for CO2. For human purposes, CO2 pollution is forever, unless we can find affordable ways to remove it from the atmosphere. As far as renewables go, your comment about 'tax breaks' suggests you subscribe to ideas that no longer reflect reality. "In February 2013 Bloomberg New Energy Finance reported that the cost of generating electricity from new wind farms is cheaper than new coal or new baseload gas plants." No, liberals do not 'overlook pollution in poor countries.' However, there was a recognition shared by some conservatives and some liberals that it would not be either practical or just to insist that developed nations--rich, and responsible for most carbon emissions to date--abide by the same rules as developing ones, since if that were done, it would tend to have the effect of institutionalizing 'third world' poverty. 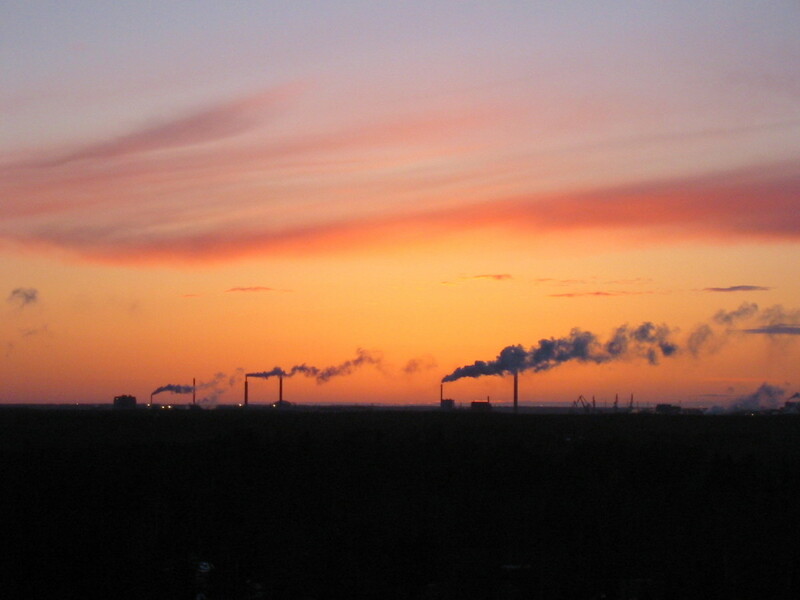 Heck, while the US wouldn't be meeting its Kyoto target, it's at least cutting emissions. Who knows what would have been possible with an actual, coherent policy of *trying* to meet them? "'Supposed to be?' An odd way to put it. But I'd like it to be a temperature close to that for which the current biota is adapted. I like to eat." It's an odd way to put it because science can't answer it. The question goes to the presumption that today's climate is somehow optimal and worthy of reverence/worship/sacrifice. I like to eat too. A warmer Blue Marble will lengthen growing seasons. We can eat more. "But why single out methane (a decidedly secondary greenhouse gas) and water vapor (which, while important, closely follows temperature) and ignore carbon dioxide, which is by far the primary greenhouse gas in terms of stability and longevity in the atmosphere?" But why ignore methane when it traps over 30 times more heat than CO2? Why ignore methane when it has a "global warming potential" of 34 relative to CO2? "(Factoid: Iowa generated roughly 25% of its electricity from wind power in 2012...)"
And the tax breaks expire... when? "The issue was that conservatives did not want to accept a treaty in which the US would have to cut emissions, while the developing nations would not--even though developed nations, and in particular the US, were responsible then (and still are) for the great majority of emissions so far." "What happened was that the US signed the Kyoto Protocol, but never submitted it to the Senate for ratification. (President Clinton knew that it would not have passed.)" "What is the average temperature of the Earth supposed to be?" 'Supposed to be?' An odd way to put it. But I'd like it to be a temperature close to that for which the current biota is adapted. I like to eat. "...methane comes from cows..." And rice paddies, and natural gas fields pipe lines, and increasingly from warming Alaskan lakes and the bottom of the East Siberian Sea. Overall, methane in the atmosphere has tripled since the Industrial era. But why single out methane (a decidedly secondary greenhouse gas) and water vapor (which, while important, closely follows temperature) and ignore carbon dioxide, which is by far the primary greenhouse gas in terms of stability and longevity in the atmosphere? "You can't block a Framework." The issue was that conservatives did not want to accept a treaty in which the US would have to cut emissions, while the developing nations would not--even though developed nations, and in particular the US, were responsible then (and still are) for the great majority of emissions so far. That's the hardest issue the Convention faces in its quest to arrive at a successor agreement to Kyoto.
" In 1992 the Rio conference produces the UN Framework Convention on Climate Change, but US blocks." You can't block a Framework. "This happens because human activity accelerates the process by producing more greenhouse gases than necessary to warm the planet to an ideal temperature." Nope. methane comes from cows and water vapor comes from nature. "The term denotes the increases in the average temperature of the atmosphere and oceans of planet Earth"
What is the average temperature of the Earth supposed to be? At the end of the day only the consumer is doing anything to stop global warming and this is a drop in the bucket against industry. One coal plant defeats most of us by comparison. The number of families that are dead or dying near these places and ignored is unbelievable. If anything we are moving forward and only increasing the production of carbon. We have to think a lot bigger then this. A public transportation system that works is hugely important. Buying products close to home and bringing jobs back to the community. 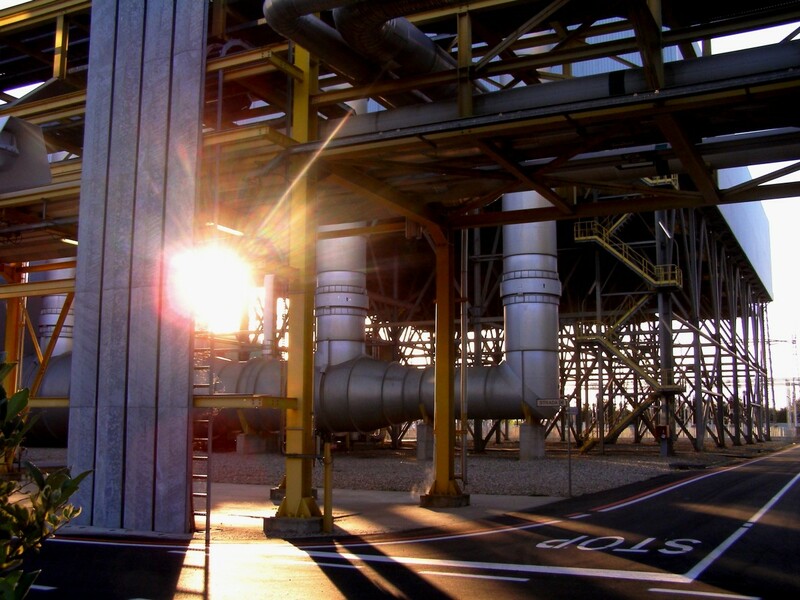 Returning to processing waste where it becomes fertilizer and even methane gas production from this process is replacing oil at the very least. Imagine if oil ran out and work your way from their and you get the idea. Ethanol is plants absorbing carbon and coal and oil has no trade off, we just need to find a plant that doesn’t require high maintenance. Right now I do not see much hope in stopping this disaster. Great Hub, Meiner. Global warming is a very real problem that threatens our existence. You have written a very clear and detailed analysis on all aspects of this problem. Hopefully everyone begins listening especially the wealthy corporate naysayers. "The global conferences and protocols are just a routine affair and more rhetoric and no action." Sadly, it is hard to disagree. The only good omen for the forthcoming Doha round is that expectations are so low that it will be difficult not to exceed them. The hub is informative.the real problem is who will reduce CO2 emission and when? In India we banned CFC gases and replaced with new eco friendly gases it took ten years to implement but many small nations with less resources can not achieve this. structure and eco conservation should be the mantra. thank you Sir, for such important hub. Haha, I like that comment! Global warming is cool. And in the 80's the cold war was hot! Ironic, to say the least. What about the methane from the cows!!! Or CO2 from Volcanoes!!!! No I'm just joking. Great hub. Good information that we need to consider. Useful. Interesting. Voted up. In principle I agree with you, William, but we are hypocrites if we blame the politicians or the industires and at the same time do nothing ourselves. Nice hub. You covered a lot of ground here and could probably break this into multiple different hubs. As for your solutions - this is a start. But the impact one individual has on CO2 emissions is minimal. There's a lot of propaganda out there trying to convince people that lifestyle changes will stop us from destroying the planet and ourselves but what we really need to do is stop the industrialized pollution machine that is modern civilization. I'm not saying we need to go back to the stone age, but we do need to make some radical changes if we want our grandkids to have something left. "How does one explain that the same folks claiming global warming said twenty years ago we would have global freezing?" "How can one predict global warming when the Hurricane center recently announced that after years of study they cannot predict yearly hurricanes or how severe they will be?" Because the bottom line is easier to predict. 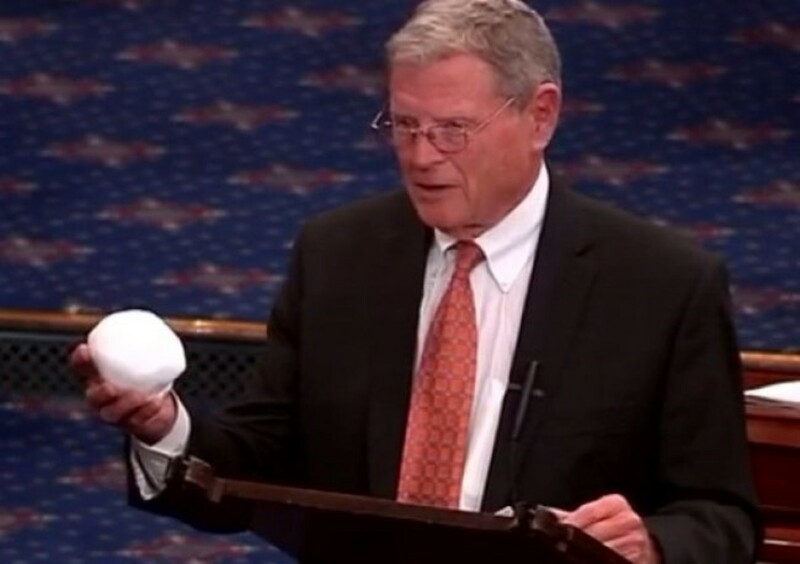 "How does one explain that we still have many temperature records from the 30s?" You are probably referring to the US record. The hottest year for the US was 1934--but the US is a mere 2% of the globe's area. For the whole earth, 2010 was warmest. "How does one explain [various weather phenomena?]" Natural effects don't stop because humans have added a new wrinkle by increasing CO2 content of the atmosphere nearly 40%. We'll still see natural variation, but in the context of an ongoing warming trend. "We have NO IDEA what the earth is doing nor can we impact it with a few cement plants!.............sorry but the evidence is not there!" I also have several Hubs on the topic, especially the scientific basis. How does one explain that the same folks claiming global warming said twenty years ago we would have global freezing? How can one predict global warming when the Hurricane center recently announced that after years of study they cannot predict yearly hurricanes or how severe they will be? How does one explain that we still have many temperature records from the 30s? How does one explain that sometimes we have hot summers and sometimes we don't? How do we explain cold winters and sometimes we don't? I am 47 years old and have seen many many years of strange weather! I lived through a 7 year drought and then overnight lakes and rivers flowed again! I saw a lake come up 20 feet in 48 hours! We have NO IDEA what the earth is doing nor can we impact it with a few cement plants!.............sorry but the evidence is not there!